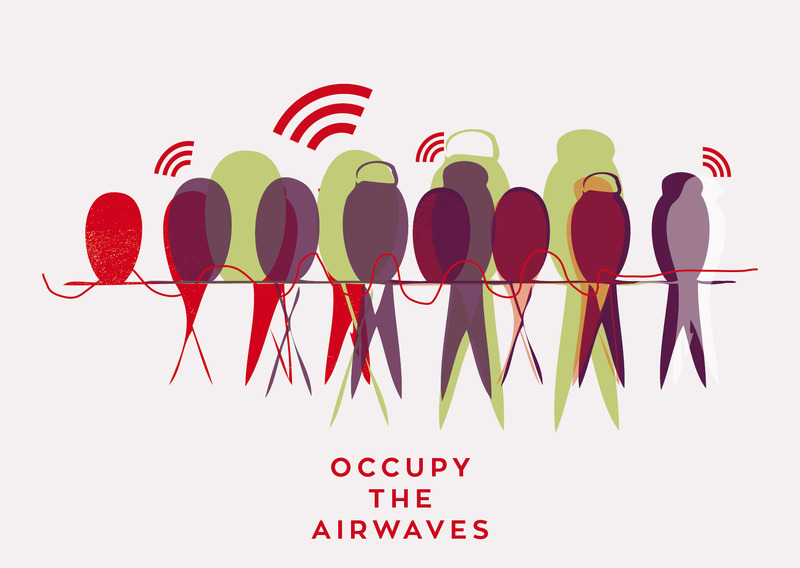 This is our fourth year of hosting Occupy the Airwaves and our third of it running from 8am until Midnight on International Women’s Day. That’s 16 hours!! We are continuing our collaboration and partnership with Phonic FM and Exeter Phoenix to ensure that this marathon community radio broadcast can happen once again, bringing a wealth of new voices to local radio. We are really excited about this year’s connecting thread: Women Making Noise! All of the programme hosts will be responding to this in some way. Thought for the Day with Neomi Alam. Chair of Trustees Anne Barnes and workshop leader Kerrie Seymour will be hosting a mini-banner making workshop from 10 am onwards in the Workshop space. This is a drop-in event which is free. 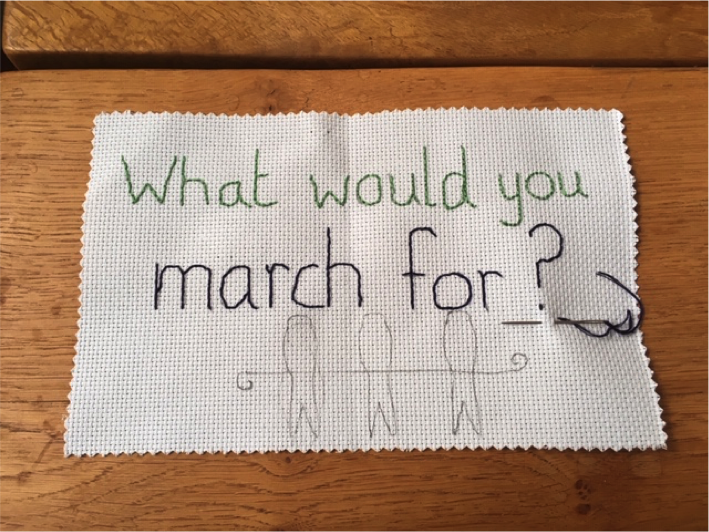 Come and make your own International Women’s Day mini-banner. Join in, connect and have a conversation about women making noise. 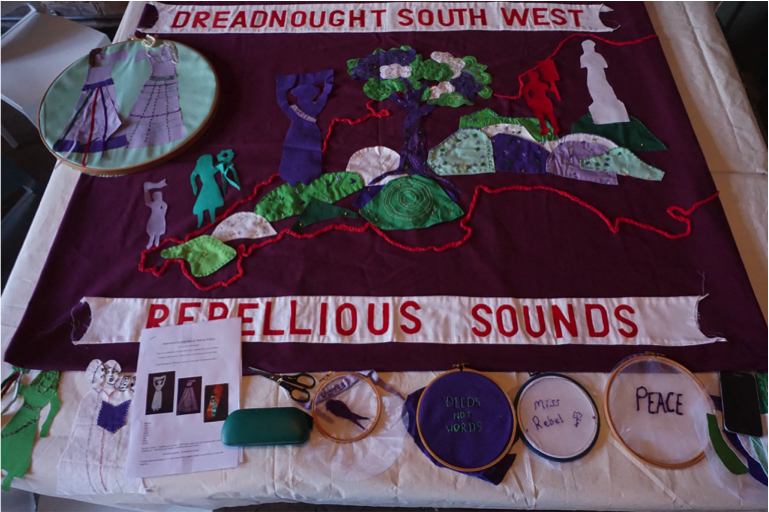 Make links to the Rebellious Sounds Banner making exhibition in the Walkway Gallery at Exeter Phoenix, by producing your own banner. You can see the exhibition until 10th March. 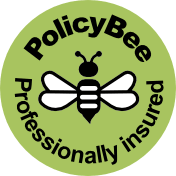 There will also be badge making – only 30p for all badges made! There will also be an opportunity to make rant and rave recordings – so watch out for this too. 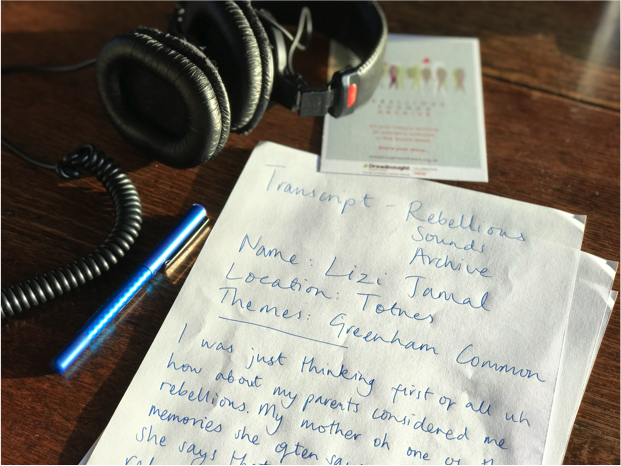 Help to tell the herstories in the Rebellious Sounds Archive of women’s activism by joining Project Coordinator Carmen Talbot on International Women’s Day (8th March 2019) to transcribe a line from a woman’s story of activism. We’d like to see how many of the stories we can crowd-transcribe together on the day. Headphones, writing materials and a short guide to transcribing will be supplied on the day – just bring a bit of focus and a willingness to help share an important story. 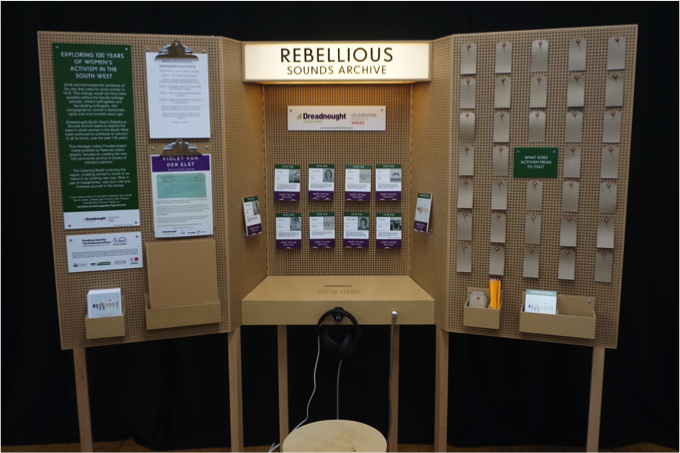 Our Rebellious Sounds Archive will be at Exeter Central Library from the 6th of March until the 31st of March 2019. Occupy the Airwaves 2019 is funded by Exeter City Council, Devon County Council Locality Budgets, Neal’s Yard Exeter, No Guts No Glory design, The Cutting Room. Thank you to Exeter Phoenix for providing the Workshop Space again, and Phonic FM Exeter’s Fantastic Community Radio for supporting this event. Thank you also to Exeter Central Library – Libraries Unlimited for supporting the Rebellious Sounds Archive Tour.